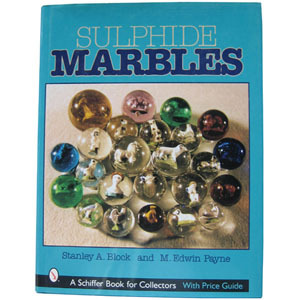 Marble Collecting Books and Accessories → "Sulphide Marbles"
Sulphide Marbles is written by Stanley Block and M. Edwin Payne. A concise guide on the sulphide marbles. Hardback with over 600 beautiful photos. 174 pages.